The Egyptian government has prepared a plan to relocate 51,000 state administration employees from 31 ministries and sectors to the New Administrative Capital. According to the plan, Al-Masry Al-Youm briefed on its details, government employees who passed the tests will be relocated in two stages, beginning in 2020, to the governmental district in the new capital. The Ministry of Finance and all its sectors topped the list with 4,932 employees while the Ministry of Public Business Sector had the lowest number of employees to be relocated with 132 employees. The plan includes relocating 3,750 employees from the Ministry of Electricity, followed by the Ministry of Foreign Affairs with 3,291 employees, Social Solidarity with 3,008 employees, Health with 2,824 employees, and Justice with 2,811 employees. Sources in the Ministry of Planning, responsible for the relocation process, said that the ministry is supposed to finish the tests for relocation to the New Administrative Capital during the upcoming months. The sources explained that the mechanism of work depends on an electronic system and not paper, and requires the presence of expertise, competencies and specific skills in the employees. The sources added that the tests are done to check their skills in dealing with the computer, new programs/applications, and a good level of English. Construction of the New Administrative Capital is on top of the priorities of the government’s sustainable development plan 2030. The infrastructure for the first stage of the New Administrative Capital costs LE 130 billion and will be completed by mid-2019, after which government ministries will be relocated there. The third batch of housing units will also be completed by 2019. 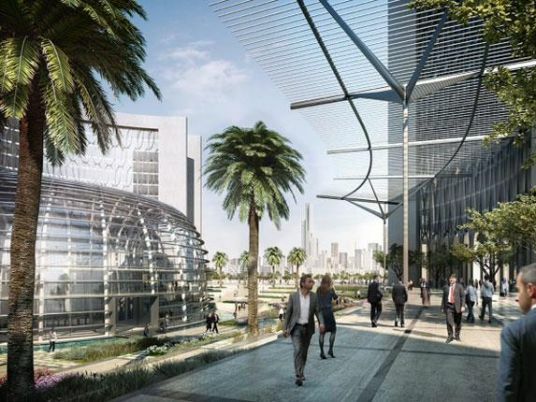 The government sector will include 36 buildings. One will be for the parliament, one for the cabinet and 34 for different ministries. The first stage will cost LE 30 billion, excluding infrastructure. The New Administrative Capital was inaugurated in October 2017. China had already announced it will be investing $11.2 billion in the New Administrative Capital in September 2017.